May 2018 – As H.J. Martin and Son wants to ensure our customers have the absolute best experience when purchasing products for your home, we make it our mission to go above and beyond to bring you exclusive and top-of-the-line materials. One of the ways we are able to learn about the latest items out in the market is by attending trade shows. Most recently, H.J. 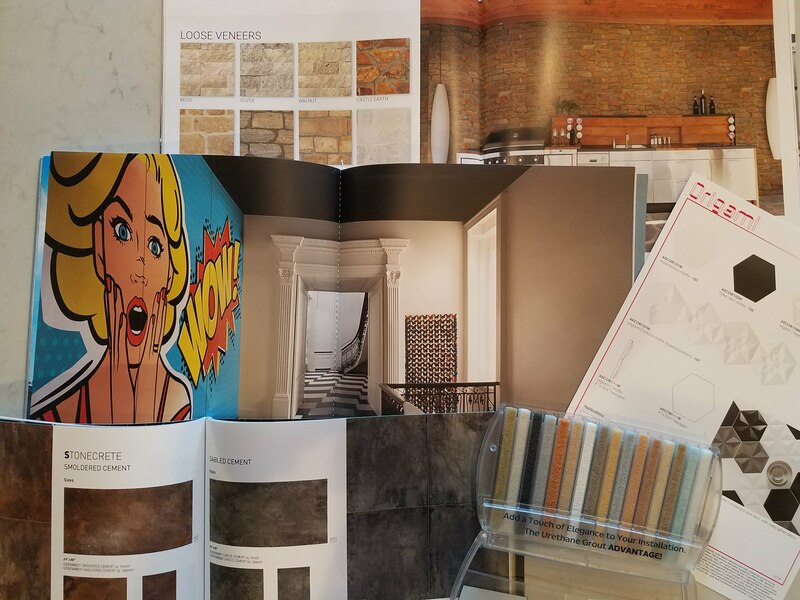 Martin and Son Interior Designer Allison Weiner and Commercial Designer Rachel Weber attended Coverings 2018, one of the largest tile and stone shows in the United States. Coverings, hosted in Atlanta, Ga. at the beginning of May, was attended by architects, designers, builders, contractors, installers, fabricators, retailers and distributors from all over the world. 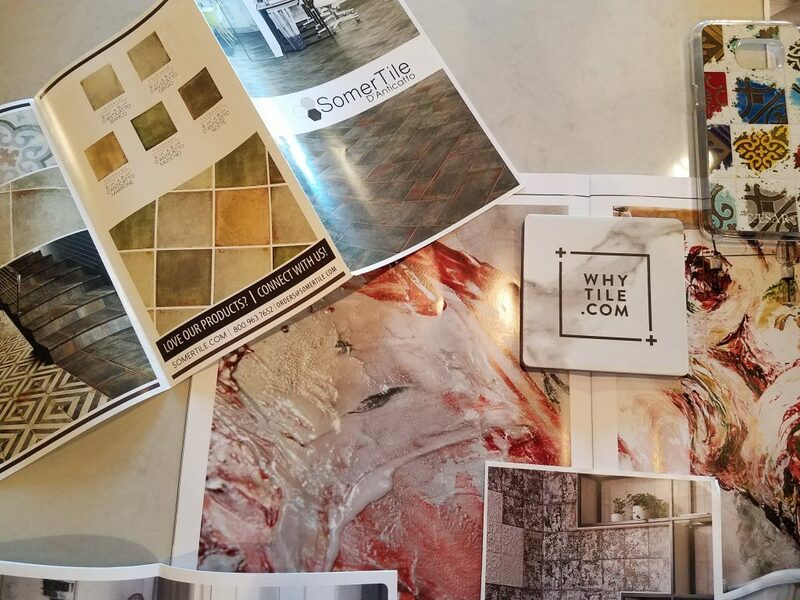 Weiner and Weber were able to experience different events, educational seminars about tile, along with networking with industry professionals and brands. Weber attended a course about specifying thin tile, which talked about how to install thin tile with the right techniques and materials. At Coverings, there were also a few different interesting displays, one of which had a competition between tile manufacturers. Each tile company designed a dog house with tile and they were judged at the event. All of the dog houses were then auctioned off and the money was donated to local Humane Societies. Weber also participated in a collaborative art experience that benefited the Tile Heritage Foundation. For a small donation, attendees of the conference could put their handprint, name, logo or thoughts on a piece of clay that would be fired and used in the Monumental Hand-Print Mural that will be installed at the Tile Council of North America in Anderson, South Carolina. Overall, the trade show inspired a number of ideas for the H.J. Martin and Son residential and commercial divisions. One of the most exciting things they saw in tile is that it is becoming art. They were able to view products that came together to create larger artistic pieces or even had the look of an oil painting. As the styles emerge into the market, there will be even more opportunity to use tile in different applications, along with being a durable and dependable flooring choice. Some tile designs H.J. Martin and Son customers can look forward to eventually being in our showroom include that of wood looks, acostic (patterned), shapes and mosaics. While some kinds of this tile have been featured in our showrooms already, Weiner assured she was very excited for new products from Coverings to hit our shelves. “This show allowed me to scope out more unique looks that we don’t have at H.J. Martin and Son and that our competitors definitely do not have,” Weiner said. Tile is a favorite product of H.J. Martin and Son designers, as it is waterproof, stain resistant, it holds up against humidity, it is extremely durable and is very easy to care for. With more intricate and interesting tile designs coming out, the future is looking very positive in the world of tile. If you are interested in seeing the work H.J. Martin and Son has previously done with tile, please visit our showrooms in Green Bay and the Fox Valley or take a look at our gallery!